September 17-20, 2017. Orlando, Florida, USA. Directions is designed to help your organization build new business contacts, learn about best practices, and discover valuable tools for execution and success. 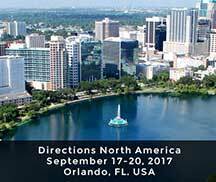 At Directions 2017 you'll find a wealth of sessions and speakers offering relevant and crucial information to give you the knowledge base you need to be successful. Just as important are the many networking opportunities at the Conference where you can enhance your relationships throughout the Microsoft Dynamics NAV Community. Learn More. October 4-6, 2017. Madrid, Spain. 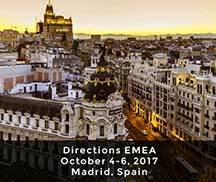 Directions EMEA is the independent conference for Dynamics NAV partners, it is organized by partners. Directions EMEA brings together over 1200 developers, implementers, technical experts, sales and executive/owner representatives from Dynamics NAV Partners across Europe. It is a great opportunity to expand your NAV knowledge, discover new opportunities for growth, and network with a first-rate business community. We looking forward to connecting with partners over our integrated e-Commerce solution. Learn More. 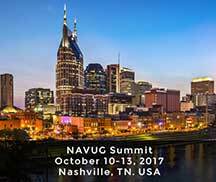 NAVUG Summit is the event for NAV users. It is the ultimate networking and learning opportunities for Dynamics NAV professionals, users, and business alike; there are plenty of sessions, round table discussions, and exhibitors to help you get the most out of your NAV investment. We'll be focusing on showing off our signature seamless integration to NAV and the flexibility and benefits of the Nav-to-Net™ e-Commerce suite. Learn More.